The management board of the company informs that in accordance with the entry to the National Court Register, as of Oct. 16, 2017 the name of the company was changed to solvachem sp. z o.o. The co-exhibitor will be Hoffmann Mineral GmbH from Germany, the manufacturer of unique silicate clays from the northern Bavaria. Natural, modified and precipitated clays are commonly used as functional fillers in the processing industry of artificial materials and rubber. The use of an appropriate mineral filler improves operating and durability parameters of the end products significantly. You are welcome to visit us in hall E, stand E18 in Kielce. 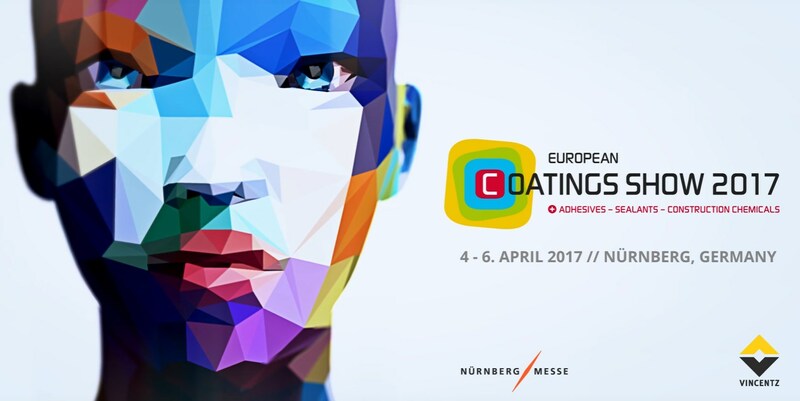 The European Coatings Show 2017 will be held from the 4th to 6th April 2017 in Nuremberg. It is the most important and the largest meeting venue for the manufacturers of paints, lacquers and construction chemicals in Europe. The representatives of our company will also take part in this event. You can meet us at the stands of our distributors. We are looking forward to meeting you in Nuremberg. The stand numbers of our distributors: Dominion Colour Corporation, hall 7 stand 7-736; Dennert Poraver GmbH, hall 4 stand 4-641; Hoffmann Mineral GmbH, hall 4 stand 4-614; Lamirsa, hall 4 stand 4-455; Sachtleben Minerals GmbH, hall 7 stand 7-214.